collar for you and your dog can be a very daunting task. 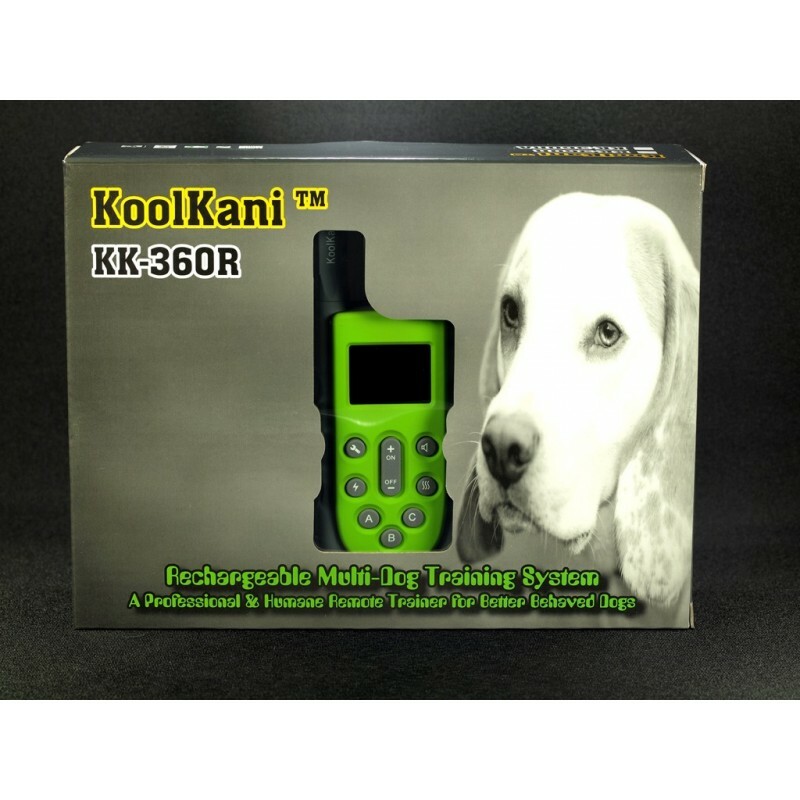 At KoolKani®, we are gladly offering you with our newest product KK-360R, a simple, effective and quality remote dog training system that is competitively priced without blowing your budget. KK-360R is an extremely safe training tool to effectively help you teach your dog basic obedience commands, solve your dog's behaviour problems and train your dog almost anything! fields). The collar receiver is rechargeable, fully waterproof & submersible so that you can even train your dog when he is swimming or in heavy rain. 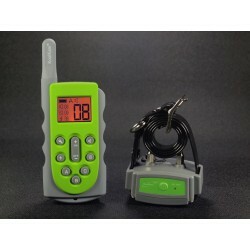 For multi-dog training, we have also added a bonus feature that every time when you switch among dogs by pressing any dog selection buttons (like A, B or C), the collar receiver will send out a short vibration command at the preset level to the selected dog at the same time, which greatly helps to achieve dog's immediate attention. praise, warning or silent recall. 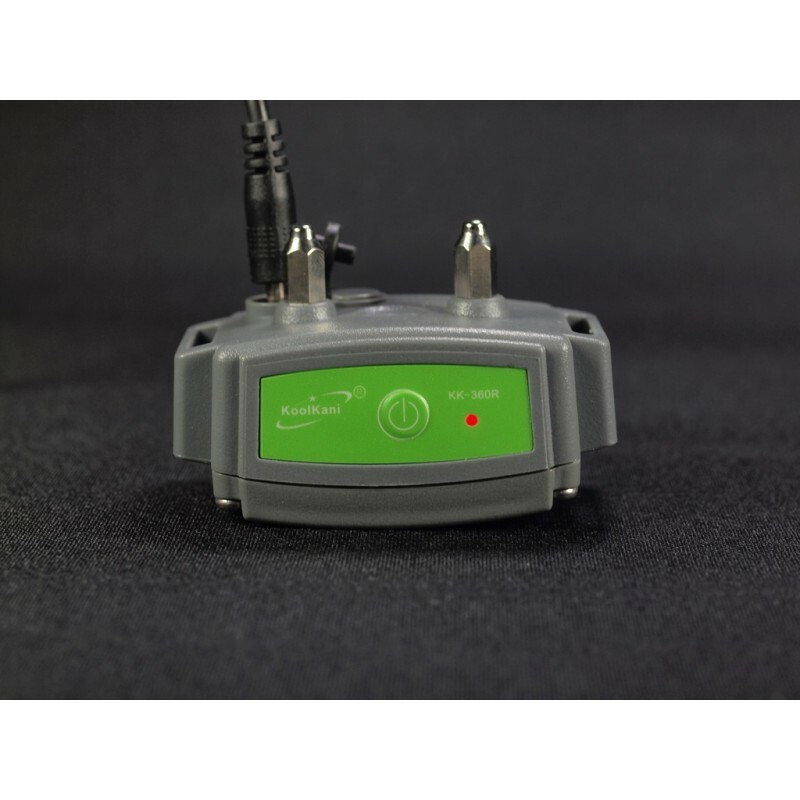 Or use the remote transmitter to send a signal, activating the collar receiver to deliver a vibration correction or a harmless stimulation. 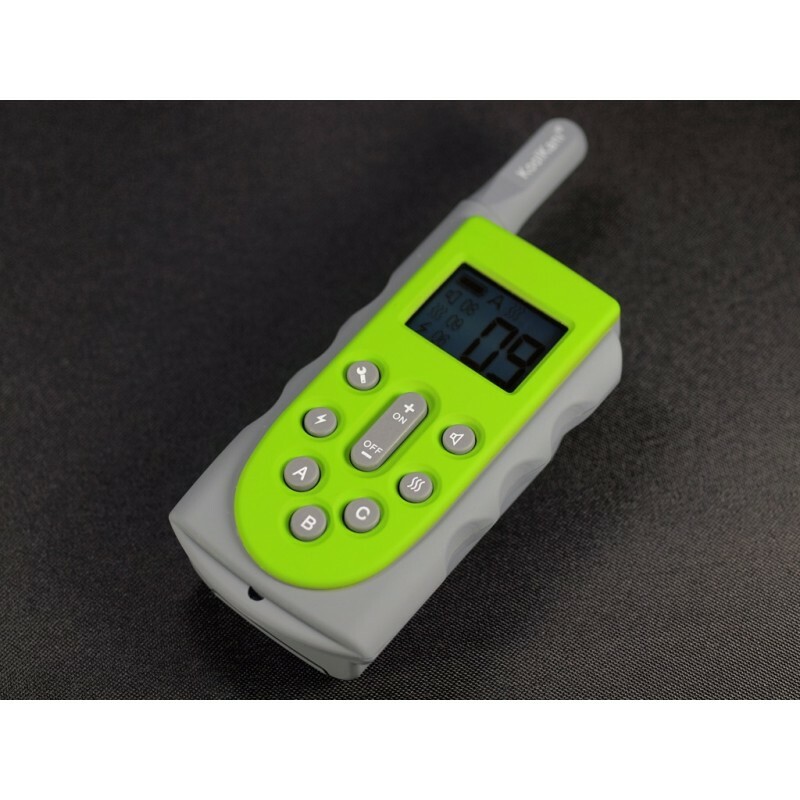 It has 10 levels of vibration corrections and 10 levels of static intensity so that you can find the best correction type and level for your dog’s temperament and the type of training you do. it. 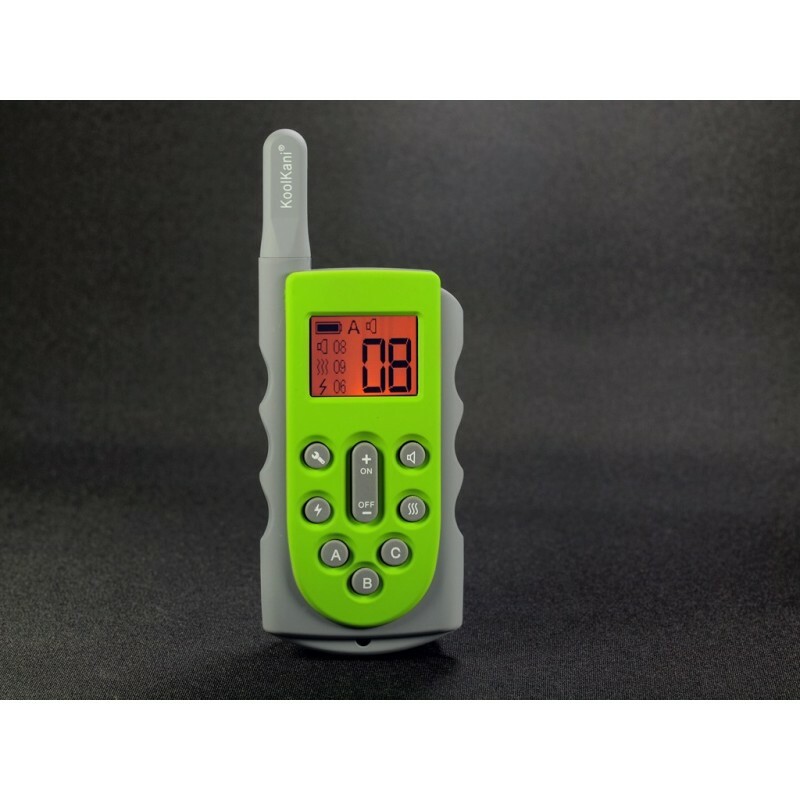 It comes with a SAFETY FUNCTION that will "time out" on the collar when the button has been pressed down for more than 8 seconds or as soon as you release the transmitter button. 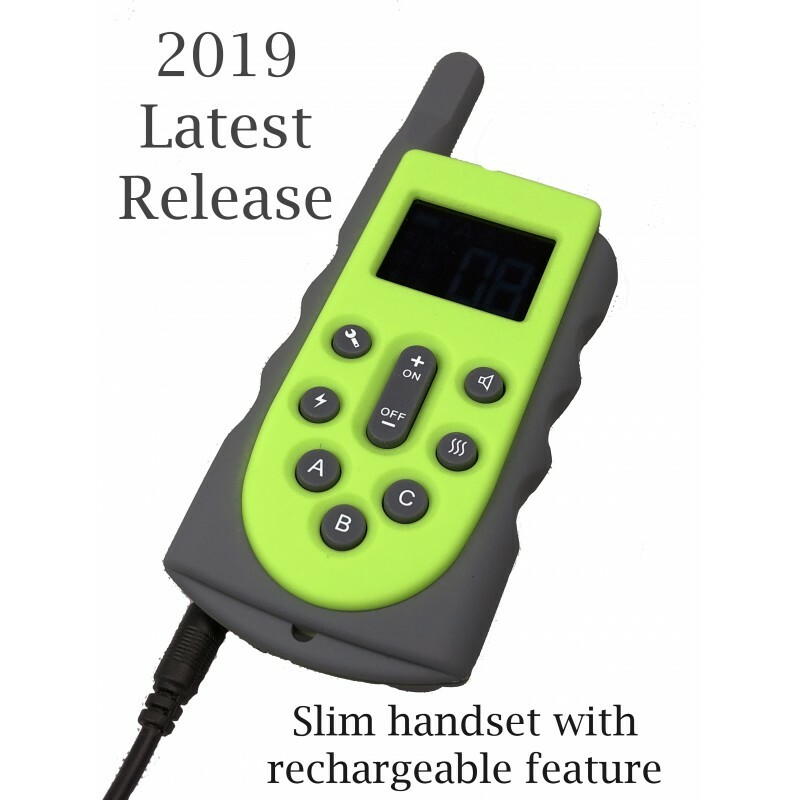 It also features a simple, push-button design with a large and easy-to-read LCD display so you can correct your dog instantly, for a stronger connection between behaviour and training. Unlike some other dog training collars that only one correction level is shown, on the KK-360R LCD screen, all the preset correction levels for the selected dog are clearly displayed. 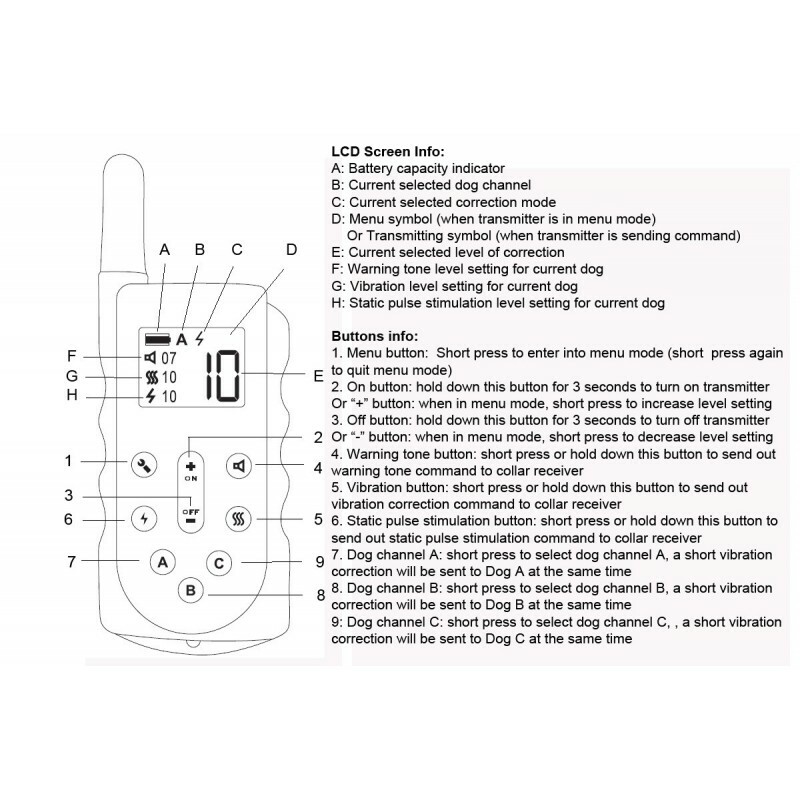 by pressing any dog selection buttons (like A, B or C), the collar receiver will send out a short vibration command at the preset level to the selected dog at the same time. All preset programs are stored permanently on the transmitter. 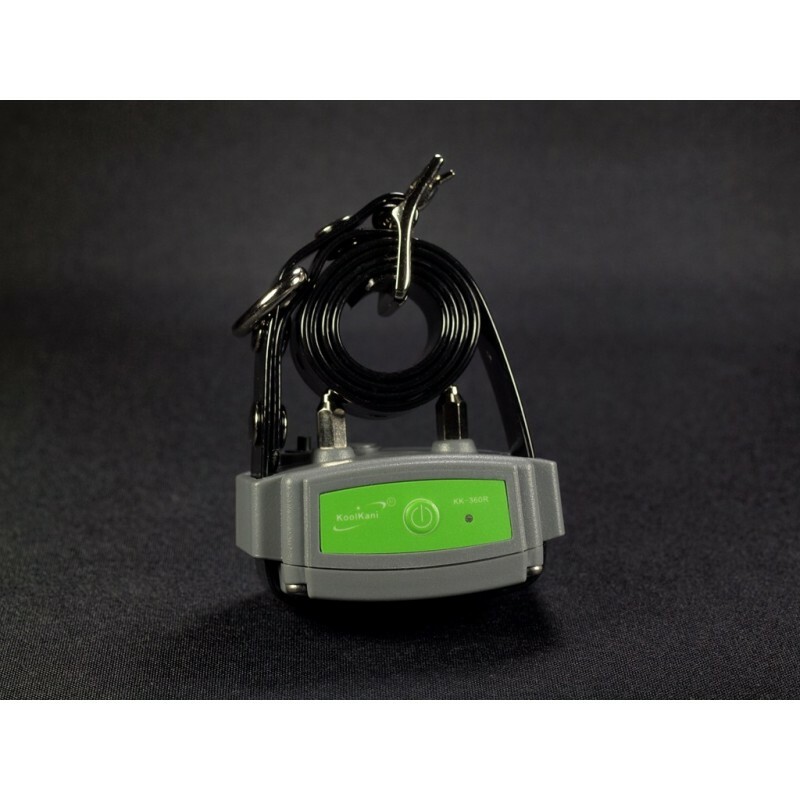 Both CE and RoHs compliance approved. This system is only suitable for healthy dogs of over 6 months old. can also use your own collar strap as long as it does not exceed 2mm in thickness. Collar strap is made of high quality TPU(Polyurethane) coated nylon webbing. It is strong, robust and waterproof. BLACK strap will be sent out by default for one dog system. Weight: approx 115g (including collar strap). 1 x User’s manual (English). Q1: Is the stimulation safe for my dog? A: While the stimulation is unpleasant, it is harmless to your dog. Electronic training devices require interaction and training from the owner to achieve desired results. 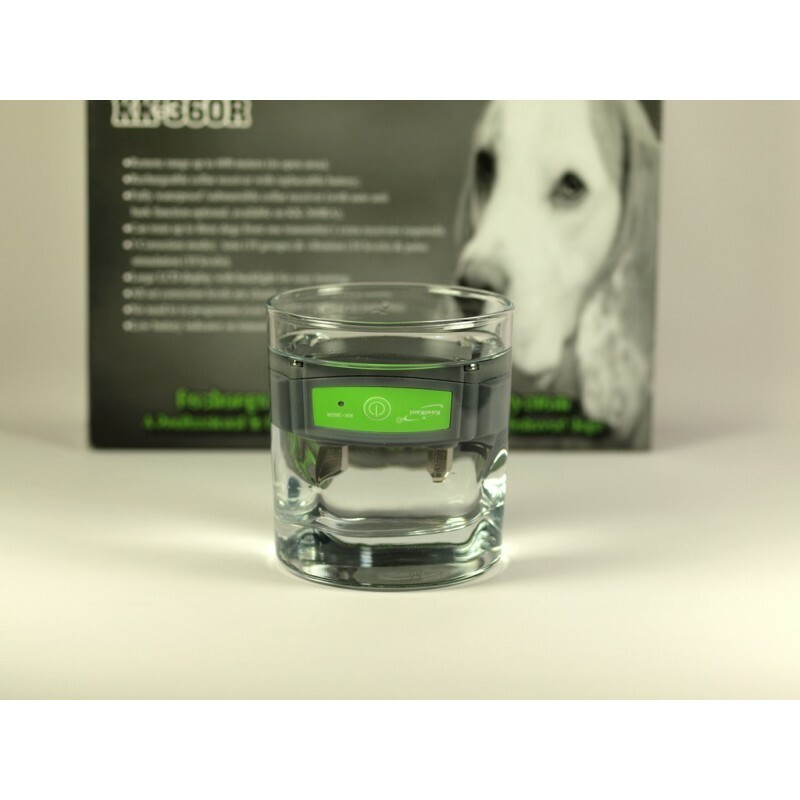 For KK-360R model, we have set static stimulation at Level 1 to be extremely mild so that it can be used on some sensitive healthy dogs. Level 10 will be a lot stronger compared to Level 1 so that it can also be used on some stubborn healthy dogs. Q2: How old does a dog have to be before using the remote training system? A: Your dog should be at least 6 months old and in healthy conditions. Your dog should be able to learn basic obedience commands such as “Sit” or “Stay”. Q3: Once my dog is trained and has been obeying my commands, will my dog have to continue to wear the collar receiver? A: Your dog may need to wear the collar receiver from time to time for reinforcement. Q4: Is the collar receiver waterproof? A: Yes. The collar receiver is heavy duty and completely waterproof and submersible, specially designed to be worn outdoors day after day without problems. Q5: Can I use the remote training system on aggressive dogs? A: We do not recommend any of our products to be used on aggressive dogs. We recommend you to consult your local veterinarian or professional trainer to determine if your dog might be aggressive. Q6: What do I do if my dog’s neck becomes red and irritated? A: This condition is due to the contact points irritating the skin. Discontinue use of the collar receiver for a few days. If the condition persists beyond 48 hours, consult your local veterinarian. Once the skin returns to normal, replace collar receiver and monitor the skin condition closely.